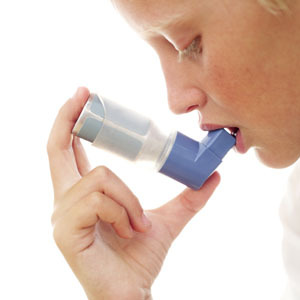 One of our nurses have a special interest in respiratory disease (Asthma and COPD). We recommend that all patients with a respiratory problems should be seen at least once a year to maintain optimum control. Hypertension (High Blood pressure) and Coronary Heart Disease is now recognised as a major health concern and clinics are held every week for anyone who has cardiovascular problems. It is recommended that all at-risk patients attend once a year. The clinic offers life style advice, a blood pressure check, blood tests and an ECG. The practice also offers preventative health checks aimed to prevent the development of both hypertension and Coronary Heart Disease. Heart Failure is a condition that some of our patients develop over a period of time. It has a number of causes and can be well controlled. Further Information from British Heart Foundation. Personalised advice about what simple steps you can take to stay healthy for the future. Brief counselling usually of 1-hour duration, of up to 12 sessions, for patients of the practice, referred by the clinical team. The counsellor works from both surgeries. One of the nurse practitioners provides Cryotherapy. This is a technique that involves “cold” burning an area of skin with liquid nitrogen. It is our treatment of choice for most warts, verrucas and solar keratoses (scaly sun induced thickenings of the forehead and scalp). It is also effective for seborrhoeic warts, skin tags and small rodent ulcers (basal cell carcinoma). We do not use this technique on pigmented moles. For access to health information on diabetes, contact Diabetes UK. A complete contraceptive service is provided by individual doctors, including the fitting of coils and diaphragms. We also provide Long Acting Reversible Contraceptives (known as LARCS). These are the Mirena Coil and the Implanon hormonal implant, the copper containing coils and the contraceptive injection. In addition, the practice nurses can provide comprehensive information, advice and follow up care. The Family Planning Association website is a good source of information on these issues. 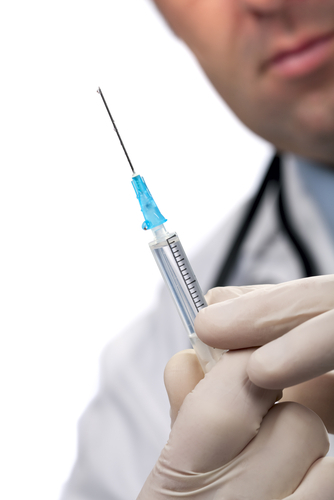 Dr Peter Speer and two other GPs (Dr Tej Bansil and Dr Oliver Middleton undertake a variety of joint injections. Shoulders, knees and some joints of the hand can benefit from an injection of steroid into the joint. Tennis elbow (lateral epicondylitis), trigger finger and Policeman's Heel (Plantar Fasciitis) also benefit. Erectile Dysfunction (ED) or Impotence is the inability to attain or maintain an erection satisfactory for sexual activity. - It is more common than you think. - There are a number of different causes - but it affects all age groups. Although we have traditionally divided the causes into "physical" or "psychological" - it is rarely as simple as that. Most men present a number of potential reasons why their erections are beginning to fail or become unreliable. Taking a good history (asking the right questions) will help in deciding what the causes might be. This is very useful, as it will help plan treatment. Most men with ED can try most of the treatments, but it is usually better to start with the simple treatments first. In many men a combination of these causes act together to give rise to difficulties. Few investigations are necessary and rarely help in the assessment - and many men can be successfully helped. Midwives attend the practice on a regular basis and offer the full range of antenatal and postnatal services. When you first attend your doctor will ask you a number of questions and will undertake a physical examination of your cardiovascular and respiratory system, take your blood pressure and record your weight. You will be referred to the midwife and or the hospital antenatal clinic depending upon your individual circumstances. It's very important to see a midwife or a GP as soon as possible. You should have had your long 'booking' visit by 12 weeks, and you should also have been given your hand-held maternity records by this time. At the booking visit, you'll discuss your health and any other concerns so that an individual care plan can be developed. You may be offered an ultrasound scan. You will also be weighed, and given information on the screening tests available, and have an opportunity to discuss them. Click here for more information about care during pregnancy. We have been providing a range of minor surgical procedures in the surgery since 1988. Procedures are undertaken at both the Yapton and Middleton surgery that have purpose built operating suites and are equipped with diathermy and cryotherapy equipment. All new patients are offered a routine health check with one of the healthcare assistants. This allows us to gain information regarding recent or serious illnesses and any relevant family history. You will be asked to bring a specimen of urine to the appointment with you. Existing patients are more than welcome to book in for a lifestyle and health MOT. Appointments for smoking cessation advice are available with the Practice Nurse both who is a trained Smoking cessation adviser. NRT (Nicotine replacement) is available on NHS Prescription – but only through our advisers. Evidence and our experience demonstrate that those people that enrol and complete the programme are the most successful. Call the free NHS Smoking Helpline 0800 022 4 332 or West Sussex Stop Smoking Service on 01903 708000. For more information on NHS stop smoking services, follow this link.